They say that readers are made upon the laps of their mothers, and of course that holds true for many a child but a mother’s lap isn’t the only place a love of books can be nurtured in the young. I can still remember the school holidays and Thursday morning walks down to the Mobile Library, waiting on the corner for it to arrive and breathing in that glorious smell as the door opened. We rarely went to a proper library as it was quite a distance away, we had no car and public transport was a decent walk away and unreliable at best but oh the week when the mobile library changed its stock would have me in raptures for the entire hour it remained parked up and an armful of new titles checked out. 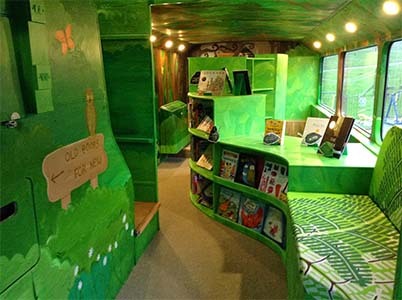 This school in Rowlands Gill, Tyne and Wear must be the envy of all its neighbours with this amazing library; housed inside a double decker bus it has been decked out to resemble a woodland and provides the perfect reading space for its pupils who are aged between 7 and 11. Children are usually full of vim and vigour, energetic little beings who need the occasional explosion of activity before settling down again to continue reading. Monterrey Children’s Library has that catered for with these bookshelves that are designed to be clambered over and a space that is just perfect for children who don’t do sitting still. 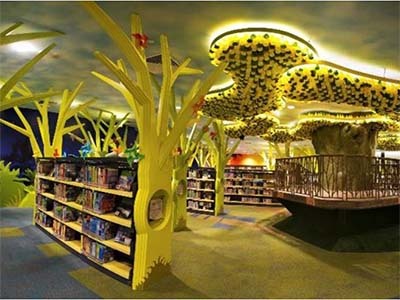 Bringing the outside inside, The Tree House Library in Singapore will have you looking out for Winnie the Pooh or perhaps Mr Toad of Toad Hall; beautifully designed the bright colours and carefully placed treehouse reading nook will have the younger members of your reading circle entertained for hours. Imagine relaxing in a huge rope hammock and whiling the hours away reading your favourite books, or perhaps becoming acquainted with new ones. 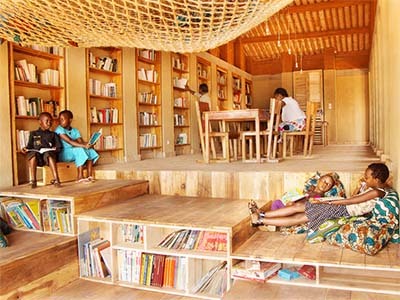 The Library of Muyinga is a really forward thinking place and prides itself on encouraging youngsters to learn to read and developing a love of books. 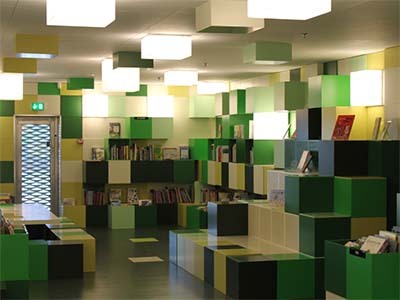 This amazing children’s library looks like it was designed by a Minecraft player. The hues of green give a relaxing ambience whilst the tough, climbable shelving allows for a quick burst of energy filled activity in between chapters. 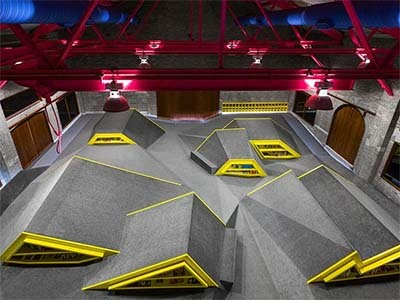 These are the perfect introduction to library love for children the world over and, when they’ve outgrown these, they can always move on to one of these beautiful libraries of the world.